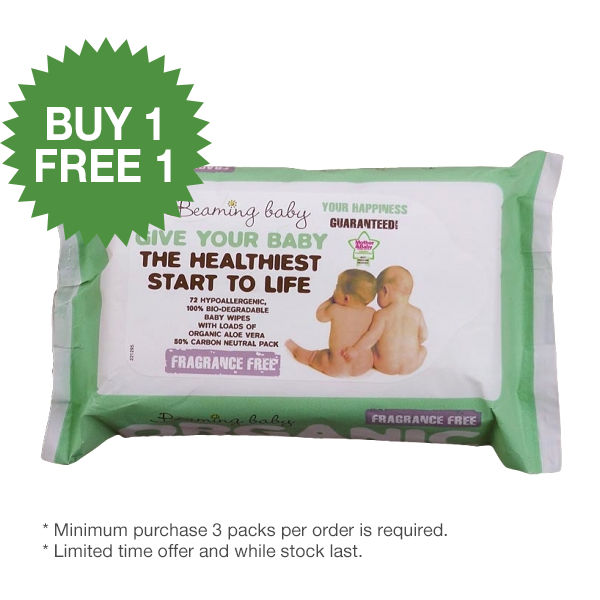 Beaming Baby Certified Organic Baby Wipes Fragrance FREE is certified organic product. By only using Certified Organic plant ingredients in the Lotion on these Baby Wipes, your baby will avoid the Herbicide and Insecticide residues found in standard wipes. By stripping out Parabens, Alcohol, Detergents and Chlorine which are often found in other wipes, your baby will avoid these potential health hazards. Our 100% Bio-Degradable cloth material is made from TOTALLY GM FREE Sustainably Grown Trees, helping to give your baby the HEALTHIEST start to life. Aloe Vera is ideal for babies with eczema and sensitive skin. Vegan Society approved. Not tested on animals. Flushable and 100% biodegradable: The certified organic facial wipes are totally chlorine free and biodegrade in normal waste disposal conditions over one to two years. 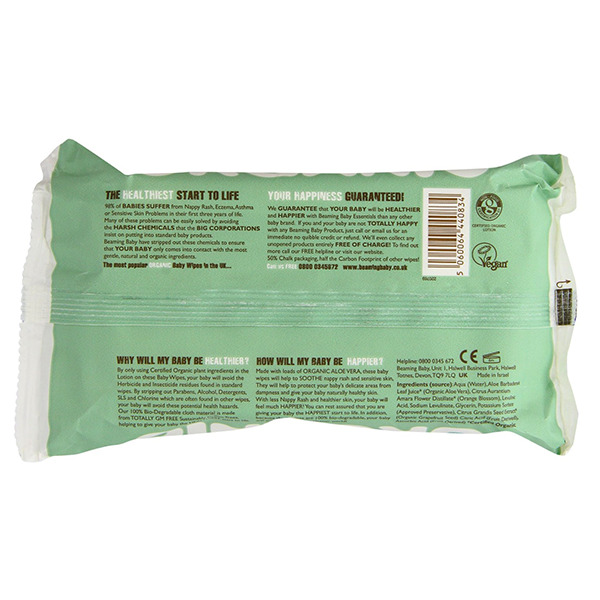 Sustainable forests: The wipes material comes from sustainable forests in Europe. The highest quality ingredients mean this organic baby wipes are incredibly soft and gentle on baby's skin. Each pack contains over 90mls of Organic Aloe Vera (30 times more than any other wipe! ), which heals, moisturises and nourishes sensitive skin. They will help to protect your baby's delicate areas from dampness and give your baby naturally healthy skin. With less Nappy Rash and healthier skin, your baby will feel much HAPPIER! Avoid expose the wipes directly to the sunlight. Do not flush when a macerator or narrow waste pipe is in use.